Hello there Sugar Bee Friends! 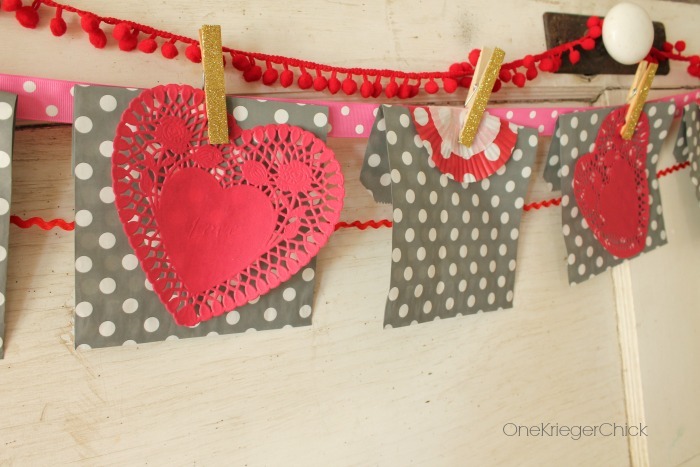 I’m Ariean from OneKriegerChick and I’m so happy to be back to share a cute and Oh So Easy Valentine’s decor idea. 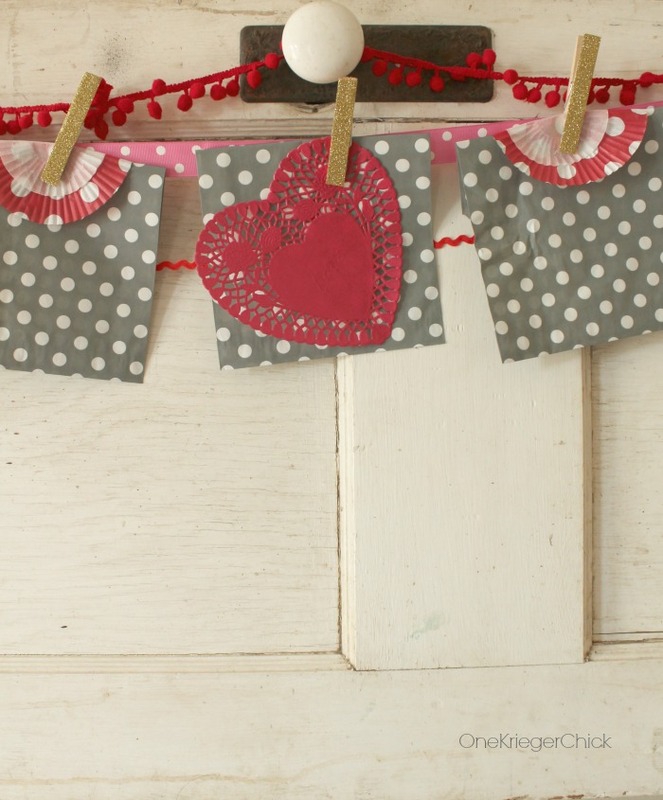 How would you like to make a Valentines Day decorative banner in 15 minutes or less? I know you are all raising your hands! 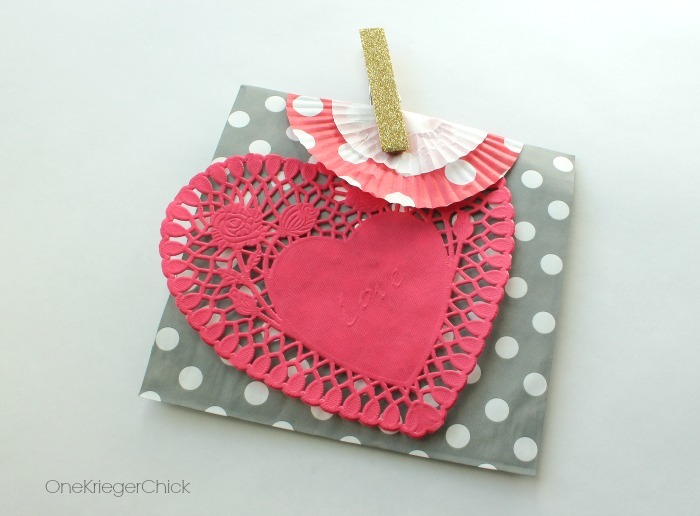 I’m with you…all about quick and easy projects that don’t necessarily look it. Plus…this is not your ordinary banner- it doubles as a countdown…but not your ordinary countdown, either… For this project, you’ll need to gather up small bags, cupcake liners, ribbons, clothespins, and heart shaped doilies. You may already have the supplies at home. To make the banner, you’ll want to fold the bags over a bit, leaving as much space in the bag as you need. 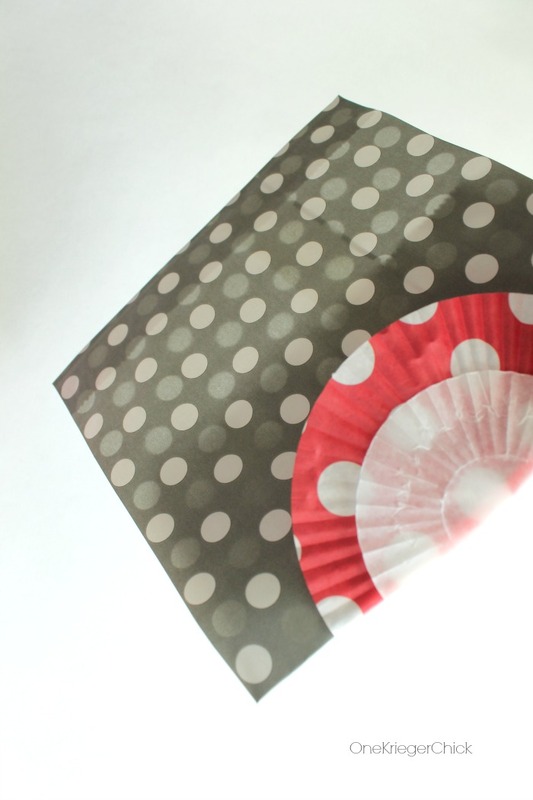 Go ahead and fold the cupcake liners in half too. Ready for the twist? 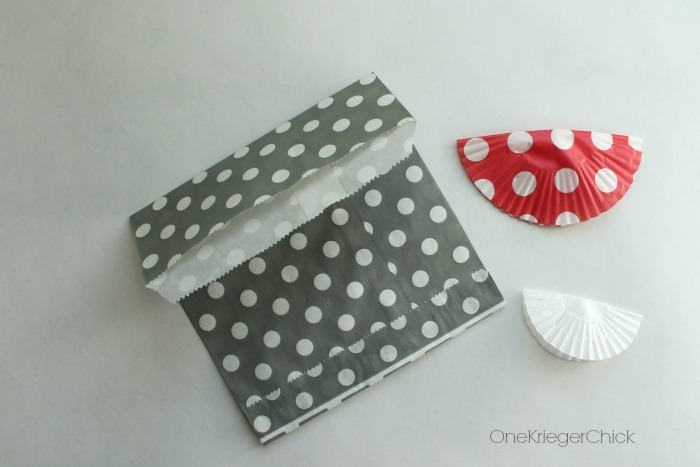 Because the banner is made up of small bags, it can be used as a super fun countdown too. 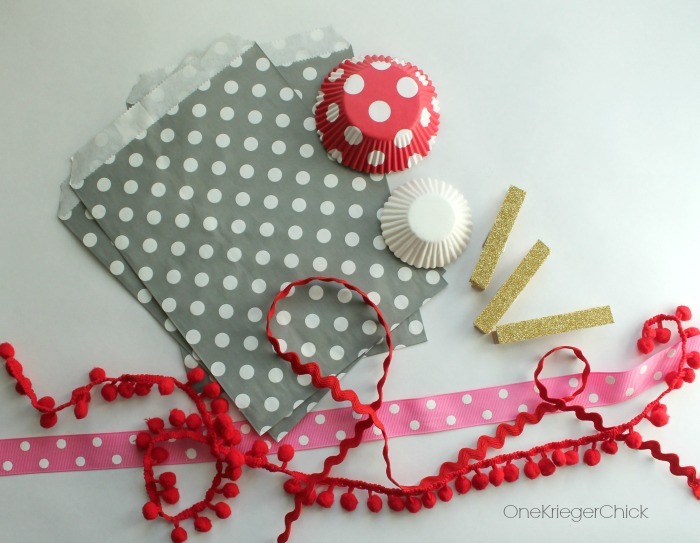 Sure, you can place candies for each day or something fun to do for each day. But…I’m going to use this as a way to fill up our buckets. 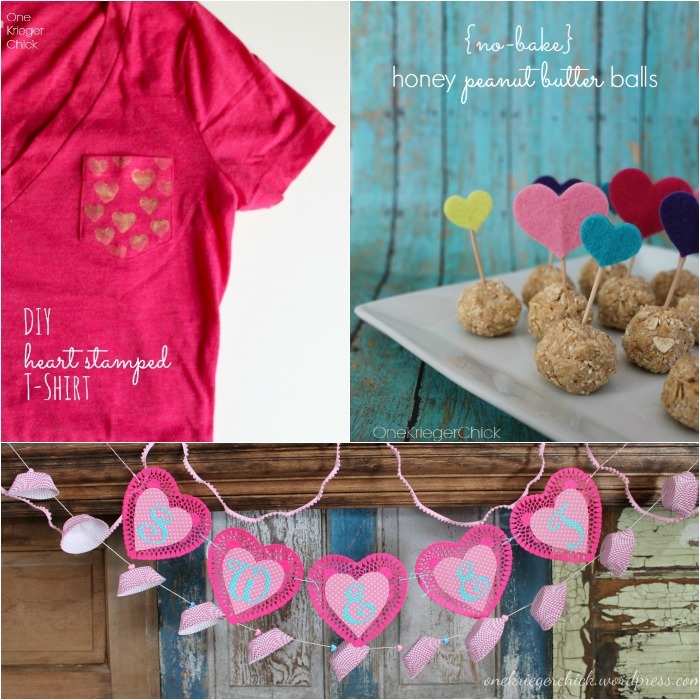 Valentine’s is about letting those we love know just how much we love them, so we’ll be doing just that at our house. Each day between Feb 1-Feb 13, each person in our family will write down something nice about each other and put it in the bag of the day. Because two of my boys cannot spell, They can draw pictures or get help from me. So, on Valentine’s Day, we’ll each receive 13 days worth of compliments. We’ve never tried this at our house, but I think it will be a lot of fun and a great lesson for my boys.